A dialectical analysis of the worth, significance, advantages, and costs of natural sources of wealth and conservation of resources. their inherent features, qualities, and resources. Every parcel, every place, or every region has different values based on their ecology. The land's ecological values are often dependent on topography, geography, geology and residential patterns. In the above map the following identified terms are listed. 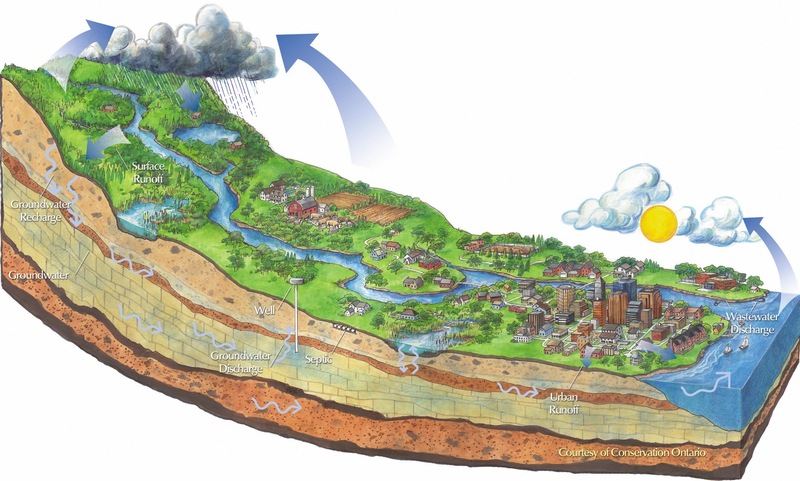 Features: river, tributaries, lake watershed divide,wetland, aquifer, ridge. Qualities: precipitation, snowpack, sub Basin, riparian zone, slope. Resources: forestry, agriculture, fisheries, town. The shape of a terrain influences the inherent sources and usable resources found in places. Although value is at one level a personal decision for you to make, what do we all gain or lose is also part of that consideration. But why are there two other considerations? Value is also a social decision, you need to see your choice of value in relation to other people's choices and they need to understand the criteria you use to assign value to some place, feature, or region. Third, there is an ecological way of seeing value in different places, despite our personal biases and social pressure to conform to prevailing "commercial" values. All landscape has recognizable value because it possesses certain worthwhile, advantageous, or useful characteristics, whose functions and processes create products over time that can be transformed into commodities. 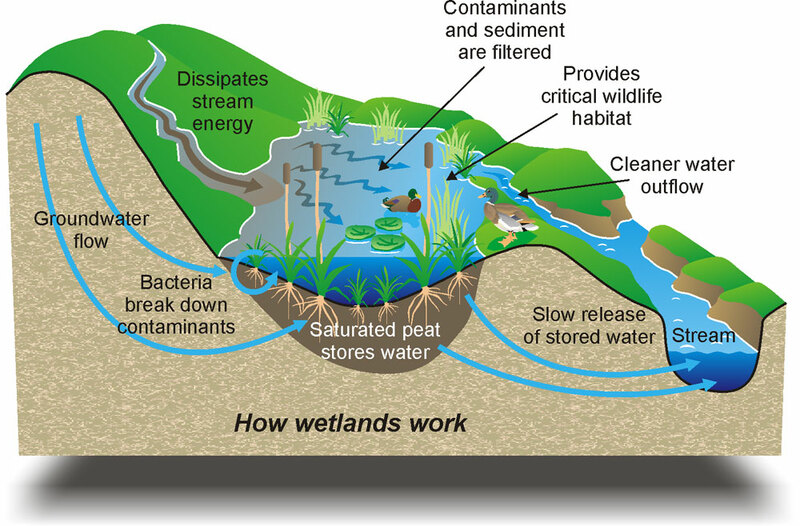 Wetlands, for example, possess intrinsic functions that no other terrains exhibit. Their merit lies in flood control, but their products include some species of fish, birds and wildlife. 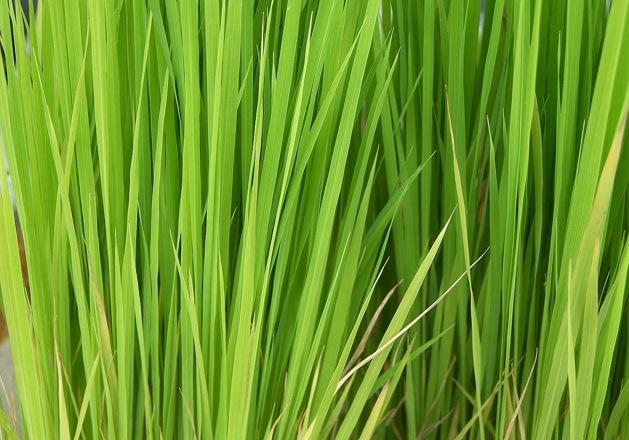 Here plants & peat store carbon. Information is not constructed from thin air, but instead, rests on what other people recognize as important ecological, economic and social information to know if you are going to judge something as valuable. What explains the relation of human labor to natural resources and how both contribute to our wealth? personal how I get to work and earn a living. + social How my neighbors earn a living. + ecological That which keeps us all earning a living. = real value Worth that eczematous over time despite market changes. The watershed as a puzzle. Your first task is to read and take information from the books that support your belief that certain places, regions or landscapes have value, indeed are of such worth that they must be preserved. Take for example Aldo Leopold in my book–he addresses very succinctly the problems with conservation based solely on economics. So does Rachel Carson. Both of these people are either supportive of the ideas expressed in Sym Van der Ryn, or they are not. You need to decide those principles from the Van der Ryn book that are important based on Carson, Leopold and George P. Marsh. Van der Ryn explains that all resources that we value as a society come ultimately from ecological systems. 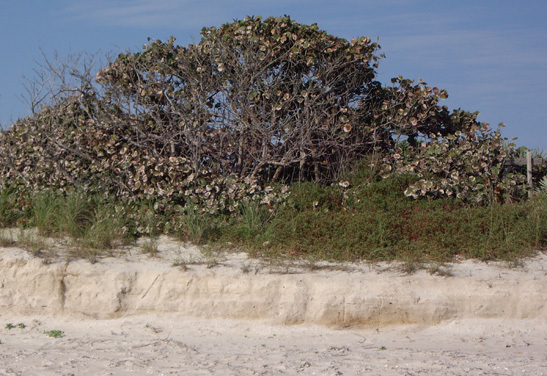 Hammock and dunes at Sebastian Inlet State Park. When we got to the live oak tree in the Hammock walk I suggested to you that in 1828 (or so) Santa Rosa Island Florida was reserved because the Navy needed its live oak trees to build better ships, clearly this is a value (economic and defense values) inherent in the tree's timber. 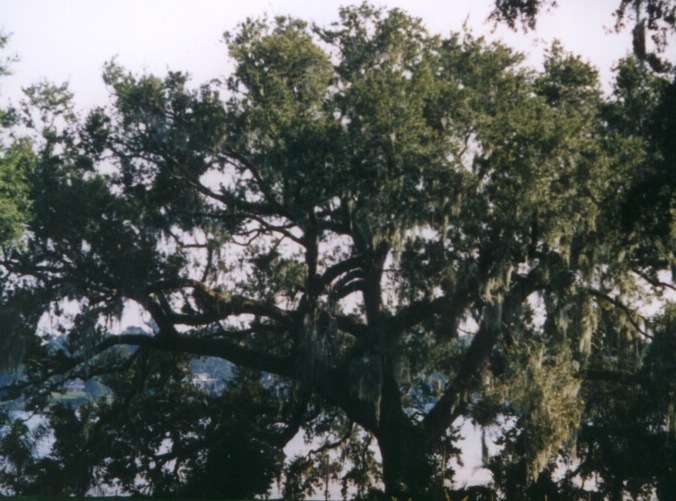 This economic use of the live oak stems from the fact that the entire dune and sea oats' ecosystem holds the island against the sea for long enough that the live oak (which is hundreds of years old) can grow to maturity. No dunes, no sea oats, no sea oats no sea grape trees, no sea grape trees no defense (buffer) against the sea and no place for the live oak tree to take root, grow, withstand fires, floods, hurricanes and finally people. 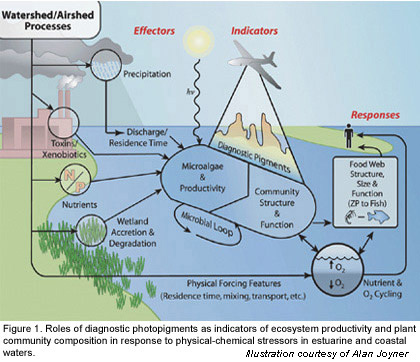 In my book these conflicting values are well described with respect to wetlands providing flood control, sanitation and fishing and hunting areas where natural functions persist–the values of these natural processes are all ECOSYSTEM SERVICES. There is a discussion of conservation, with important dates. 1942, The U.S. Fish and Wildlife Service created to protect species. Roseate spoonbill's, shown here above, only thrive in wetlands, they are the indicator or sentinel species of the conditions of the wetland habitats they live and feed and reproduce in as part of their range. Words are defined on several pages on my site --but consider these words and other words that I use.